If your license has been suspended or revoked because of a DUI arrest or as a result of having refused to take a breath or blood test, or for any other reason, you may qualify for a “Hardship License” which is also called a “Work Permit.” This limited license will allow you to drive to and from work. However, it can not be used for any other purpose. Even a stop at the grocery store on your way home from work may violate the conditions. To qualify, you must be currently employed. Whether you qualify for a Hardship License also depends on your driving record. The waiting period to obtain a limited license after a DUI arrest depends on your past driving record. The more offenses that you have, the longer the wait. On a first offense, it is likely that you received a piece of paper when you received your ticket. That piece of paper operates as a seven (7) day temporary license. After that 7 day period has elapsed, you will not qualify for a limited license for another 15 days. On the twenty-first day after your ticket, you may apply for a limited license. Go to your local Department of Motor Vehicles office. Ask for the criteria that need to be met in order to apply for a hardship license. If your state issues driving points, you may need to have under a certain number of points to be able to apply. Points are given to those who get traffic tickets and are used to determine if your license should be suspended. Ask for an application for a hardship license. Find a driving improvement course in your area that you can take if your state requires a course as part of the criteria for a hardship license. Your DMV may have list of applicable driver courses that will qualify you for a hardship license. Apply for the course and go to the classes. When you complete the course, you will receive a certificate from the teacher. You will need to keep this certificate as proof that you have completed the class. 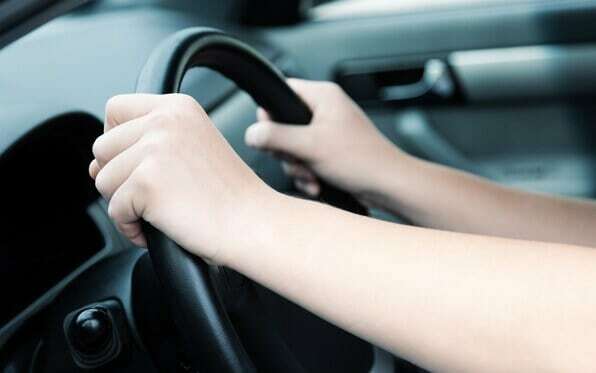 Take a driving test at the DMV if you are an under-age driver applicant who is seeking a hardship license. You will also need to take a written test. These are the tests that anyone who is applying for a driver’s license has to take. Take your completed application along with any supporting documents, such as the results of your driving test or a certificate from driving school, to your local DMV. If you are under the driving age, you will also need proof of a family hardship, such as a sick or handicapped parent. You can typically use a letter from the family doctor to provide proof of hardship in this case. Pay the fee that is associated with your application. If your application is approved, you will receive your hardship license. 2) View Arrest Records Instantly!